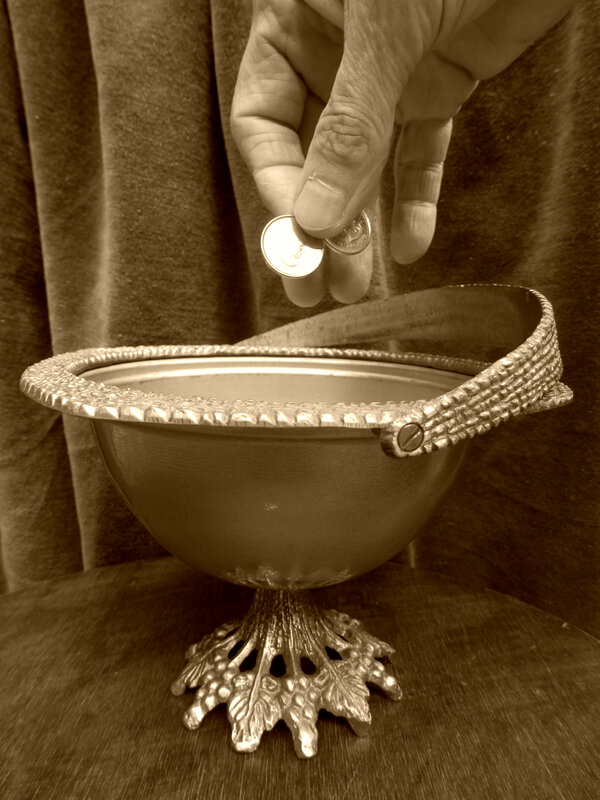 God our Father, you open your generous hand to empty your riches upon us. You did not withhold your firstborn Son, but freely gave him as a fulfillment of your covenant promise. Because of this deep extravagance, may we in overflowing joy surrender our very lives in service to you. Keep us from clutching our insignificant copper coins as if to be saved by them. We ask this in the name of Christ, your precious treasure given for us and for our salvation. This entry was posted in Christianity and tagged devotional, finances, generousity, gift, prayer, scripture, widow's mite. Bookmark the permalink.